Bay Bridge Selfie, a photo by ericwagner on Flickr. Sometimes I try to stuff a whole bunch of photo genres into one photo. 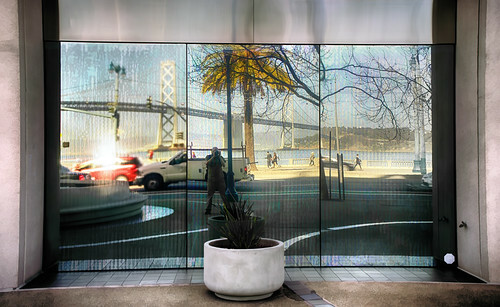 Here’s a landscape, reflection, bridge, architecture, street photography, selfie of the San Francisco Bay Bridge. This entry was posted in Uncategorized on March 14, 2014 by eric.